The Clip Ottoman is a non conventional trapezoid shaped Ottoman that you can nest together to create amazing shaped Soft furnished spaces. 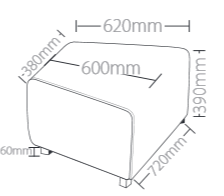 Build your own unique Ottoman Seating Solution of your dreams! Featuring a comfortable sprung seat, robust hardwood frame and stylish chrome legs the Clip can be upholstered in any fabric. 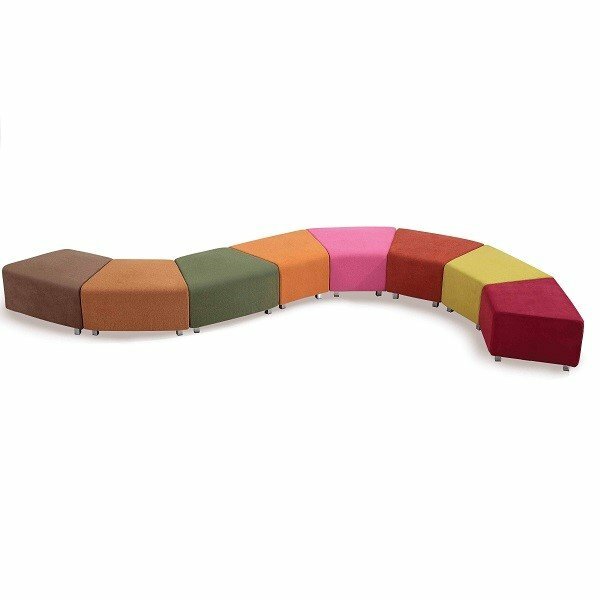 To order multiple units of the Clip Ottomans and to specify fabrics/colours and combinations of your choice, contact the Seated Sales Team. 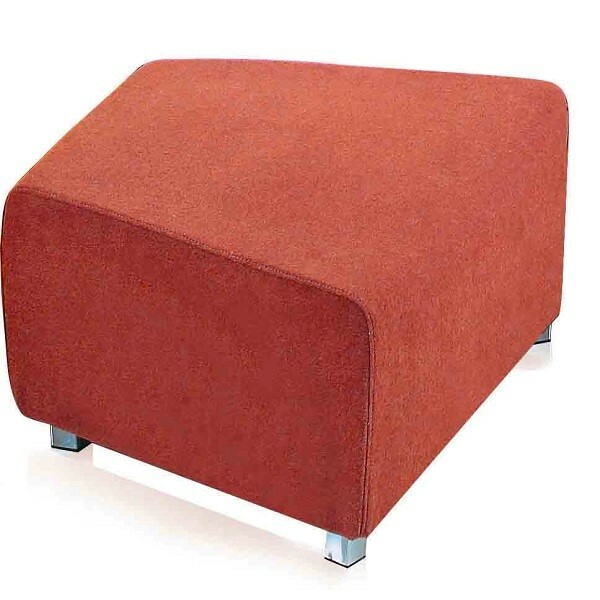 The Clip Ottoman is made up of a Hardwood Frame and a firm moulded durable foam. 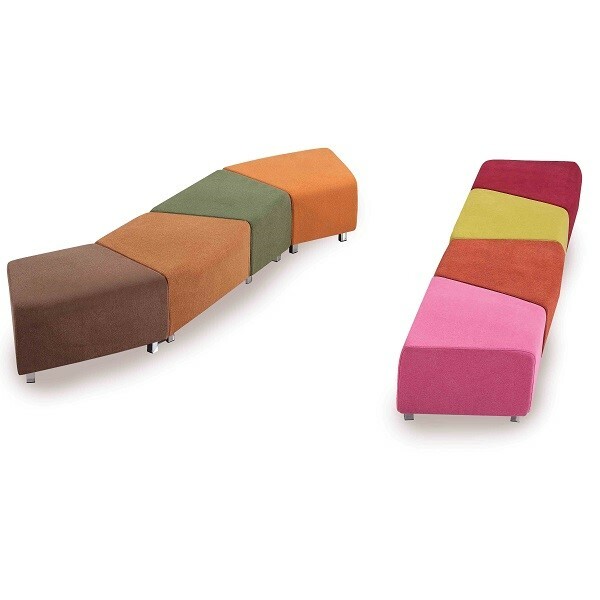 It features spring seats for extra comfort and stylish chrome legs .